James is your typical boy who loves anything construction related. 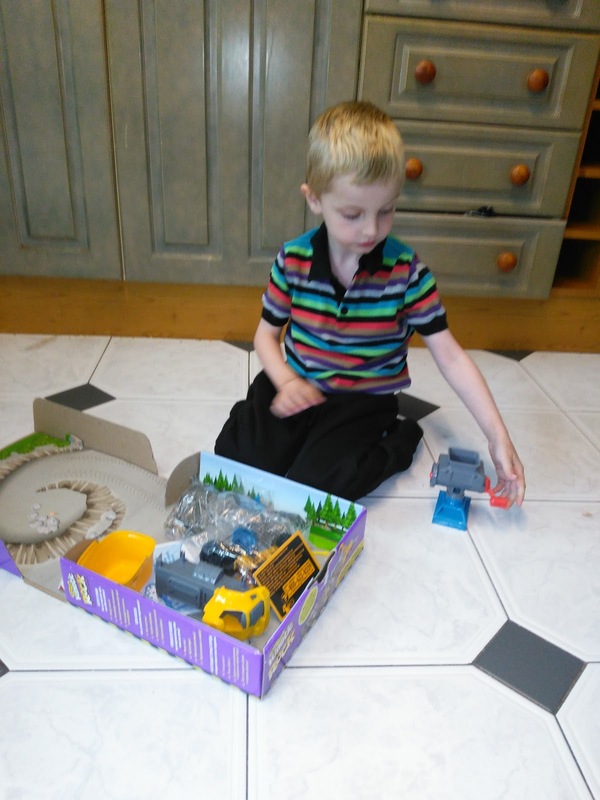 In fact his school teacher in reception said if James could have spent all day in the construction area of the class room he would have been happiest! 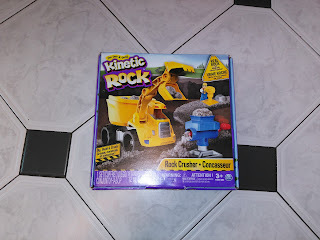 So you can imagine how excited mummy was when the lovely people at Spin Master offered to send us one of their Kinetic Rock kits for my construction mad boy to try out! 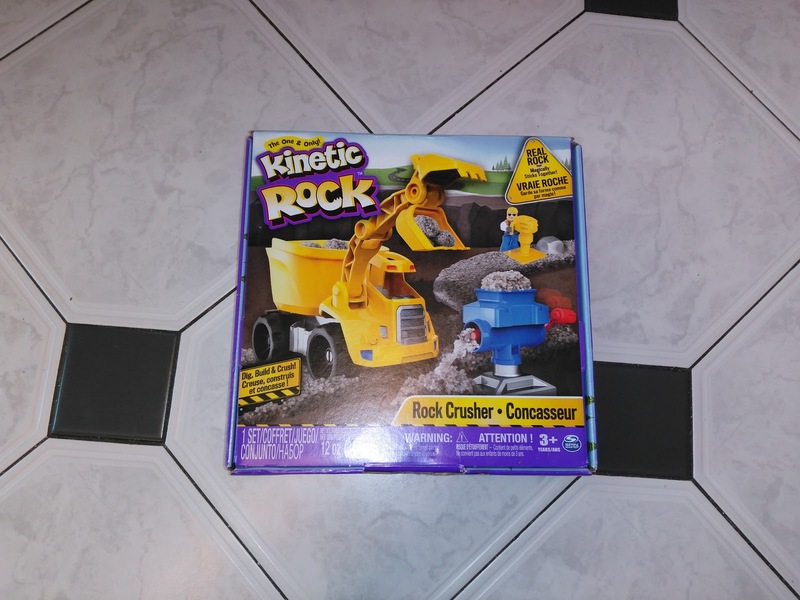 We saved the Kinetic Rock set for James to try out after his first week back at school and boy was he thrilled when he saw it! We also made sure it came out at little brothers nap time to save little fingers trying steal it! It also gave James some one on one time to play with mummy and daddy! 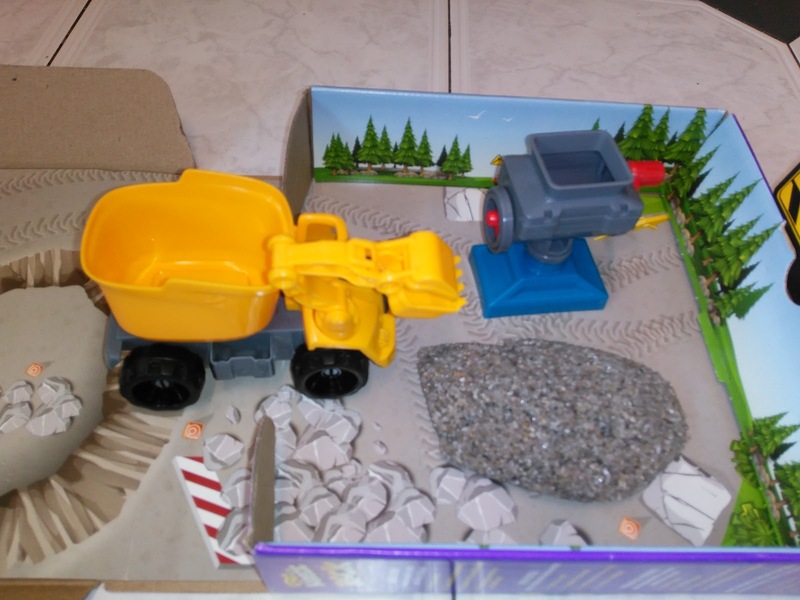 The set is absolutely amazing with a dumper truck and a rock crusher, which Andy says reminds him of an old fashioned mincer, the set really is brilliant! It also has a tool and a rock mould! James was absolutely fascinated with the feel of the rock! 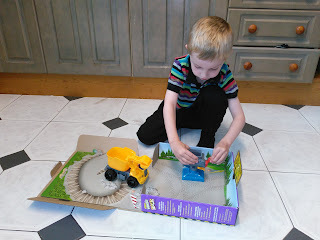 His favourite part definitely seemed to be putting the rock into the crusher! 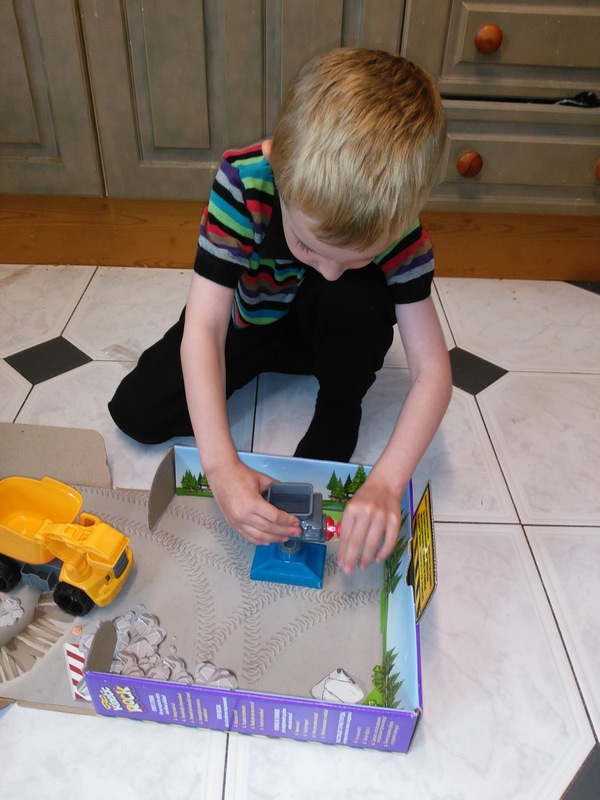 When he was younger he was definitely not a fan of sensory play, even when he was in nursery he hated getting messy! 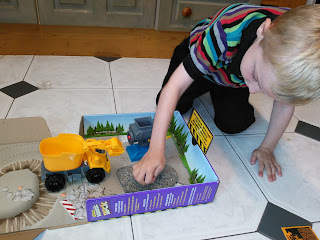 I think now at five years old he is the perfect age to get sensory play out of this kit! The rock feels really gritty, as it is made with real rock, it is however very sticky so does stick to everything! We got the out in our kitchen floor which is tiles thank goodness! If I have anything negative at all about the set it is the fact there is not that much kinetic rock actually in the set, so I am already eyeing up some extra on Amazon! Plus there is extra construction vehicles available too! Overall I am absolutely thrilled with the set and so is James! I can see this set being played with very often especially when little brother is asleep! Disclaimer: We were sent this set free of charge in exchange for this honest review, all words and opinions are our own!